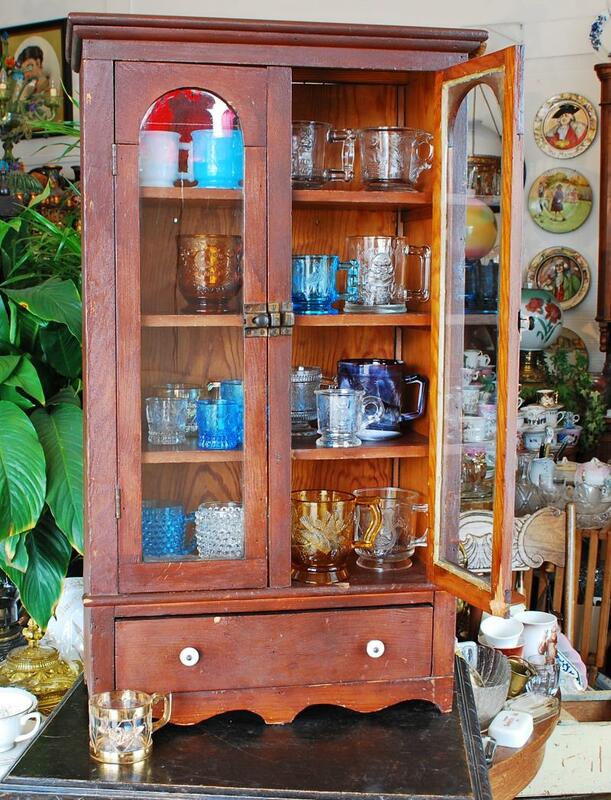 Pressed glass mugs, manufactured from about 1880 to 1900, were originally described as novelty childrens' drinking mugs. 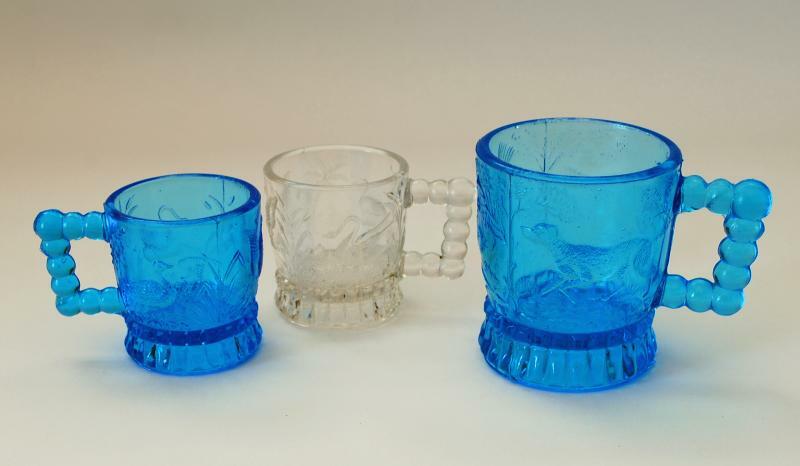 "WATERFOWL" and "POINTING DOG" pressed glass mugs by Bryce (U.S. Glass Co.) c.1885.' 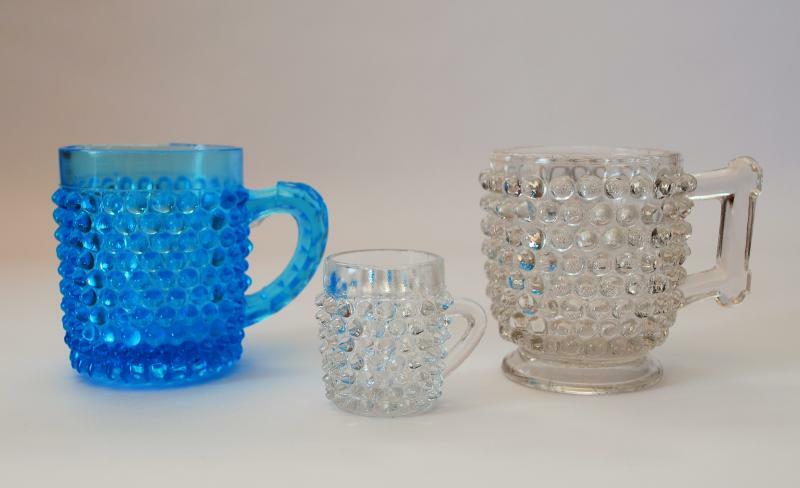 "HOBNAIL" pressed glass mugs c.1885. 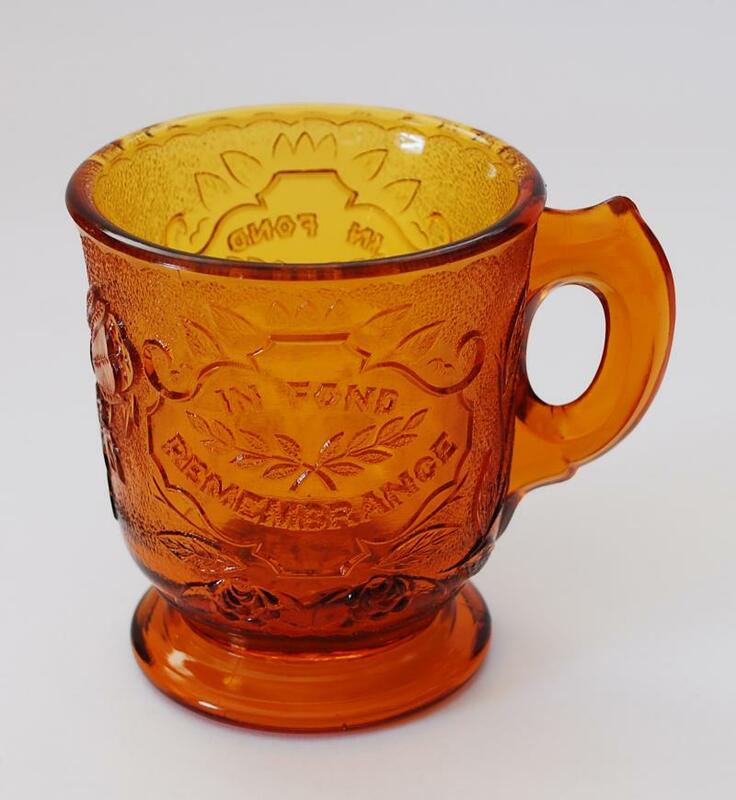 "IN FOND REMEMBRANCE" pressed glass mug c.1890. 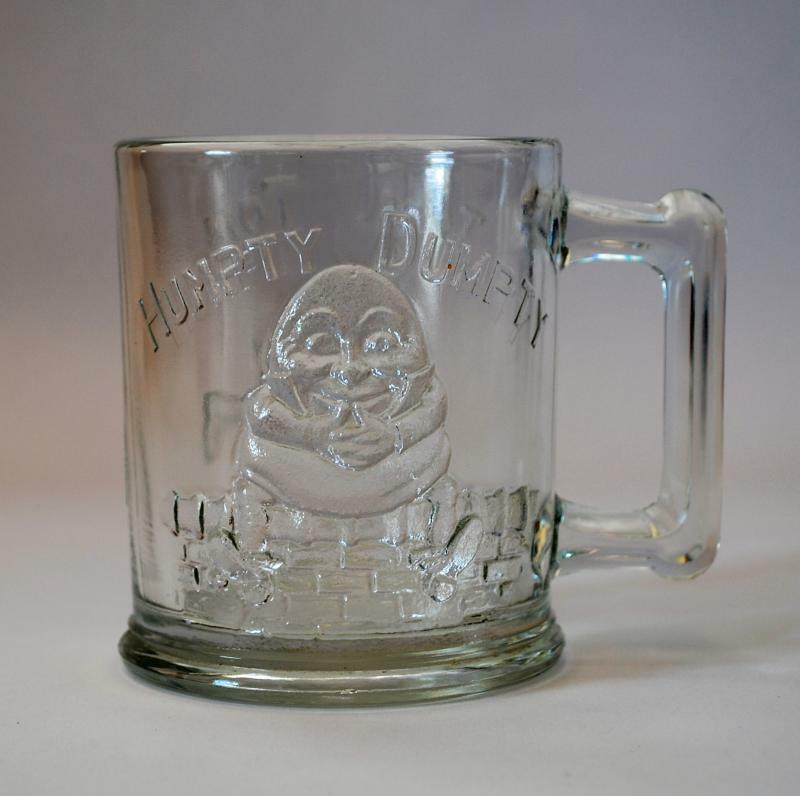 "HUMPTY DUMPTY - TOM THUMB" pressed glass mug c.1890. 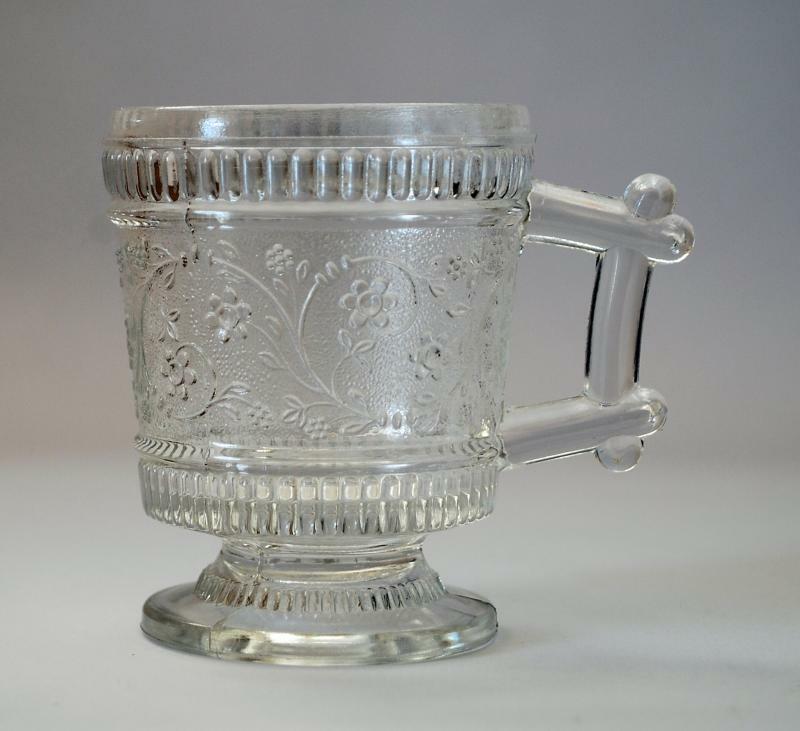 'RIBBED FORGET-ME-NOT" pressed glass mug by Bryce, McKee and Co. c.1880.